Look up and you might see the bright constellation Cassiopeia trace a zig-zag across the sky as it seemingly always has. 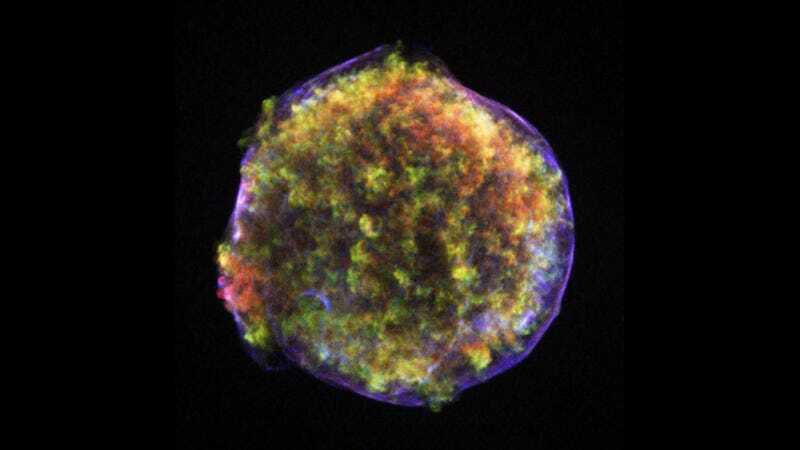 But almost 450 years ago, it was the source of surprise: A bright flash, Tycho’s supernova, or “SN 1572″ as scientists call it. This was one of the few supernovae humans have been able to see with their naked eyes throughout history. What caused the explosion is still unknown. You’d be correct in thinking that supernovae originate from stars exploding. Most of us, though, are probably more familiar with type II supernovae that herald the end of a star’s life via an blast following a collapse upon itself. Meanwhile, scientists have generally accepted that SN 1572 was a type Ia supernova, the kind that occurs in systems with two stars. Still, its remnants, discovered decades ago with higher-powered telescopes, have defied understanding—scientists are still stumped as to what kind of sources could have created what they see today. Now, an international team of researchers think they’ve got an idea based on some new analysis. The researchers report that their observations are consistent with a catastrophic cosmic collision between two white dwarfs, although, “other more exotic scenarios may be possible,” they write in the paper published yesterday in Nature Astronomy. SN 1572’s type Ia supernova appearance implies that it could have come from a smaller white dwarf sucking gas from a large, nearby older star until it blew up. But researchers haven’t been able to conclusively pin down the leftovers of either a dead star or a companion. If the new team was dealing with this scenario, surely the white dwarf would let out a lot of high-energy radiation like ultraviolet light and x-rays. This would knock electrons off of the gas clouds surrounding the stars for the 100,000 years (or more) prior to the explosive finale. But when the researchers took another look at the light particles coming off of the hydrogen atoms in the remnant’s gas, they realized the gas wasn’t nearly as electrically charged as it should have been. This would rule out the traditional way that type Ia supernovae form. Instead, they thought the remnants could have been the result of two white dwarf stars colliding. Meanwhile, other Type Ia supernovae with different properties, like one calledSN 1604, might have come from a different kind of explosion, potentially involving only one victim star, said Petre. The paper’s main conclusion is that little star blowing up from eating too much of the big star scenario is out of the question. Ashley Pagnotta, astrophysicist at the American Museum of Natural History, liked the paper and didn’t think its methods had been used in this kind of situation before. Still, she told Gizmodo that she thought this conclusion might have been a bit overstated, especially the claim that all white dwarfs in their ruled-out scenario must go through the long radiation phase. She explained that one kind of white dwarf-containing explosive-but-not-supernova-explosive stellar binary called “recurrent novae” are only detectable as these kinds of radiation sources for a short period of time after small eruptions. She’d like to see further calculations before feeling comfortable that recurrent novae are also ruled out. 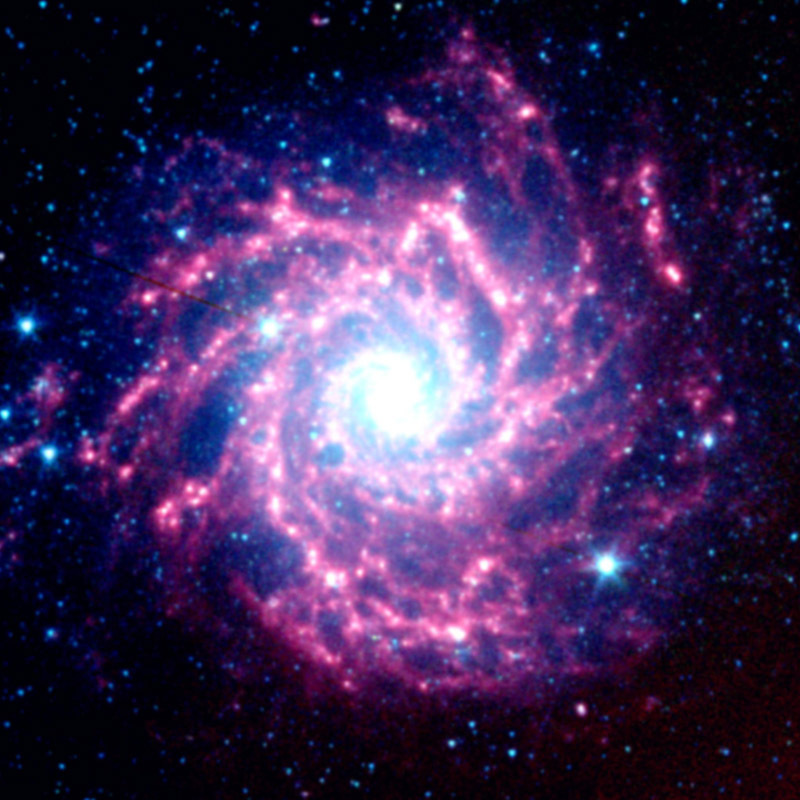 One thing’s for sure: There’s nothing ordinary about the way SN 1572 exploded.